ZPS38-17 Animal Pill Tablet Press is specially developed by our company for producing animal pills. ZPS38-17 Animal Pill Tablet Press has been exported to more than 70 countries and regions. 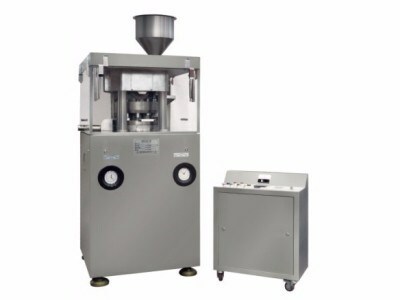 ZPS38-17 Animal Pill Tablet Press is used to press various granular materials into circular tablets, which is especially suitable for small batch production. ZPS38-17 Animal Pill Tablet Press can be installed 17 sets of punch on the turntable, and 17 pieces of tablets can be pressed every rotation. The speed of the turntable, the filling depth of the materials and the thickness of the tablets can be adjusted. The mechanical buffer device of ZPS38-17 Animal Pill Tablet Press can avoid the damage caused by overload. One side of the body is equipped with a powder suction box, whose suction nozzle can absorb the dust generated during the operation of the tablet press, so as to avoid the blockage of adhesion and reuse the recycled materials. 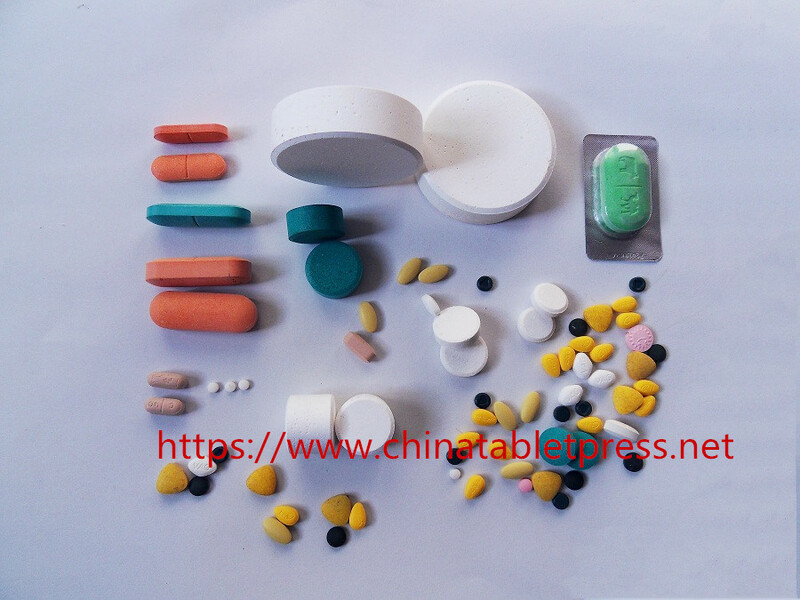 ZPS38-17 Animal Pill Tablet Press can produce tablets in rounded and irregular shapes with characters, symbols and patterns by changing the moulds. But ZPS38-17 Animal Pill Tablet Press is not suitable for gelatinous, wet, semisolid materials. The parts exposed to the materials and the machinery casing are both made of stainless steel. This can keep the surface shiny and prevent cross-contamination, in line with the requirements of GMP. 1. The mechanical drive part is separated from the tablet-pressing room to prevent the materials from pollution when they are pressed. 3. The turntable is made of special cast iron with its surface plated by titanium so that ZPS38-17 Animal Pill Tablet Press has a good anti-corrosion performance. 4. 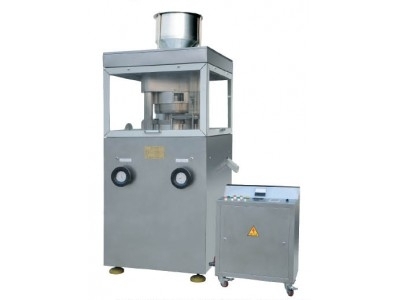 ZPS38-17 Animal Pill Tablet Press is equipped with a pre-pressure wheel to improve the quality of tablets. 5. ZPS38-17 Animal Pill Tablet Press adopts a structure with 4-pillars, which guarantees a smooth and reliable operation.